This week, MAC launched their new Spring collection exclusively with Selfridges. The new collection consists of bold, beautiful colours and is available exclusively on Selfridges online and in stores for two weeks. Jil Sander for Jil Sander. Yes, it is official. Jil Sander is returning to her namesake label. This news is big for a number of reasons. Firstly, Jil has had a chequered past with her label. She resigned a year after Prada took a 75% stake in her label, returning three years later in 2003 and resigning just two years later. 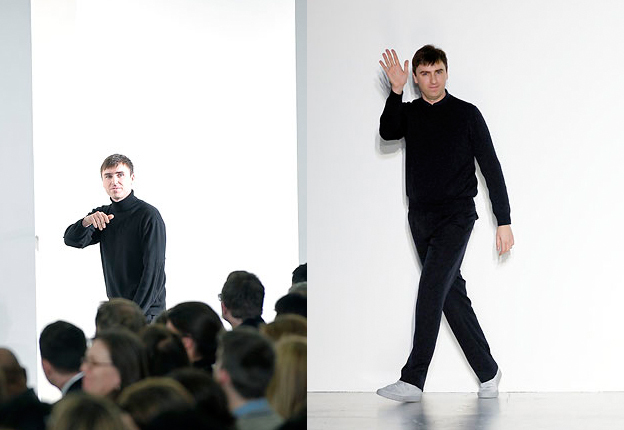 Secondly, buzz is growing over what is to become of Raf Simons who has been at Jil Sander since 2005. The obvious move is fill the void Galliano has left at Dior. Dior have declined to comment until the ready-to-wear show in Paris on 2nd March. Free To Be Supreme x My Wardrobe competition. Do you fancy winning a £500 shopping spree at My Wardrobe? They’ve partnered with exclusive members-only shopping site Free to be Supreme to give away a massive shopping spree to one lucky winner. All you have to do is register on the Free to be Supreme website to be in with a chance of winning the £500 prize. With the likes of Camilla Skovgaard, Burberry Brit and Mawi on the site, this is one of the best giveaways I’ve come across. You’ve probably stumbled upon gorgeous Aussie brand MINKPINK on ASOS or in Urban Outfitters. If you haven’t, it’s time to get acquainted with this playful, girly brand; I think you’ll be seeing a lot of them this year. Here’s their global campaign video, it’s super fun and really conveys the aesthetic of the brand. Zalando is a name you may not be familiar with yet, but they are Europe’s leading online fashion retailer and stock a staggering 600 brands across womenswear, menswear, kidswear, footwear, accessories, beauty and sportswear. Not content with offering established brands, their in-house creative team have been hard at work to design and develop their first ever own-label collection. Channeling key trends including ethnic prints, 50s pastels and 90s neons, the collection hits the site on 2nd March.